An Eggmobile follows the cows around the farm. This mobile chicken house provides the birds roosting shelter at night and a coop to lay their eggs. This mobile shelter allows the hens a smorgasbord of bugs and they get plenty of fresh air, fresh grass, and exercise. 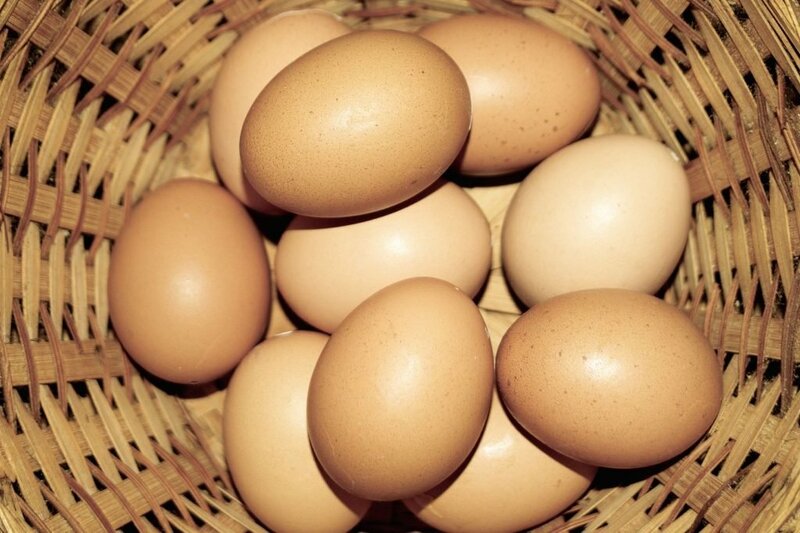 You should see the dark yolks on these delicious brown eggs!